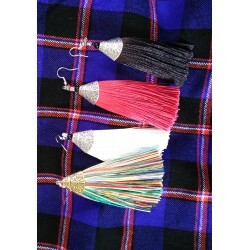 Shake up your style with a helping of the tassel earrings trend. 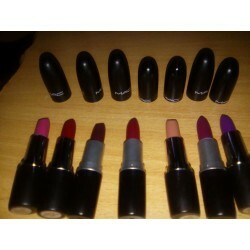 They come in different colors and sizes. 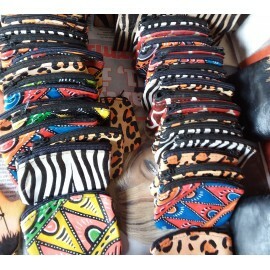 This coin purse is made from leather and decorated with beautiful animal paintings, nature, maps etc. 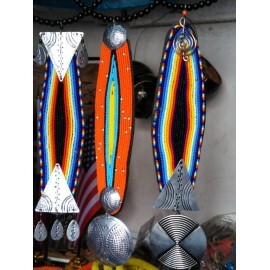 The Beaded Earrings have an African touch. 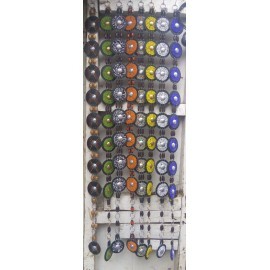 Found in different colours and one can make a statement when worn. This pocket mirror is fitted with leather on the top. 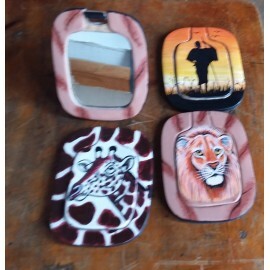 The top of the pocket mirror is painted with beautiful drawings. 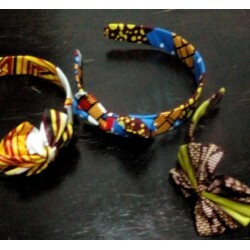 Ankara hair bow is a cute hair accessory to put on your hair. 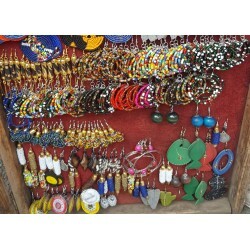 It forms part of the highly popular Ankara and Beads . Gift yourself or loved ones fashionable accessories. 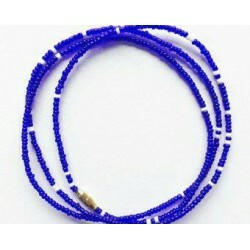 This necklace is made from a combination of several beaded strands/strings. 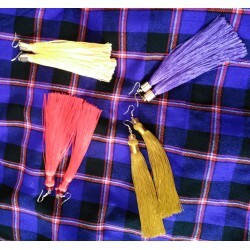 The strands have different bead colors making it possible for you to wear with any clothing. 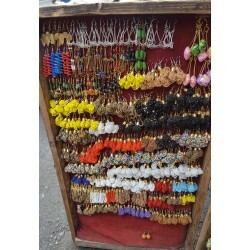 The necklace is beaded and has brass. 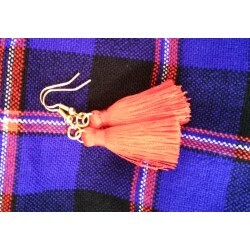 For Women.A special gift to your wife/mother/girlfriend/daughter/grandmother/best friend and for special occasions. Perfect for gift giving and safe keeping.  A choker is a close-fitting necklace worn around the neck. 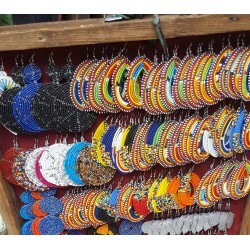 Chokers can be made of a variety of materials, including velvet, plastic, beads, latex, leather, metal, such as silver, gold or platinum,or light stone material. 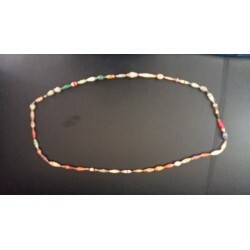 This stone choker comes in a variety of colors. 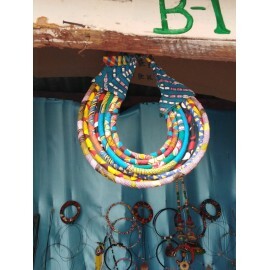 Colourful Handmade African Ankara Necklace Wax Print Dashiki Fabric Necklace. It has 8 layers in 1. Worn on all occasions to make a statement. Beautiful and elegant, for girls, ladies and women. 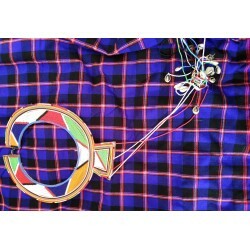 This Masai necklace is called Ngarau and its beautifully stitched together. 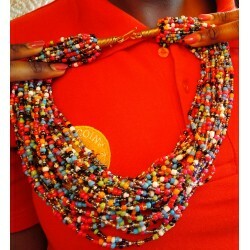 This necklace dangles nicely on the neck and brings out the vibrant Masai culture. 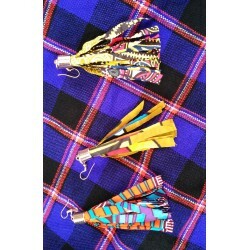 Its normally worn by the Masai women as part of identity and its soothing sound is heard when they perform their cultural dances. Add a touch of function and fun to your wardrobe with these beaded belts.